Need to quench your thirst for local artwork and live music? Look no further than Art After Dark, where an array of galleries throughout downtown are open to the public. There will be coffee bars, pottery, and more. High school seniors and transfer students will be in for a warm welcome as they explore the campus and cultural community of Cal Poly. Prospective students will participate in events that emphasize love, empathy and respect as well as cultural understanding. Enjoy some music at The Porch Café presented by the Zen Mountain Poets, a band drawing influence from the likes of the Grateful Dead and Jefferson Airplane. They will play original songs and a few covers, so get ready to groove. Iliza Shlesinger is a comedian who has gained recognition for her jokes about a confident woman’s approach to singlehood, friendship and relationships. Catch her in the Performing Arts Center to appreciate her late 1990’s-early 2000’s fashion sense and witty humor. Start your Saturday by getting outside and helping out the environment. The Surfrider Foundation, ECO SLO and Sustainable Coastlines Hawaii are teaming up to host a beach cleanup in Morro Bay. 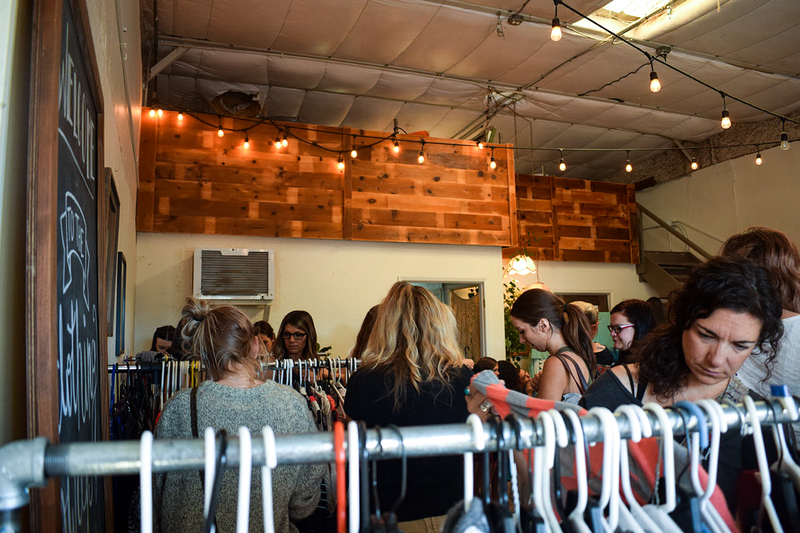 Local photographer Asia Croson and the San Luis Obispo Parks and Recreation Department are hosting a clothing swap at the iFixit office downtown on Monterey Street. Bring some clothes to donate and swap and replace them with new spring styles for your wardrobe. Hungry for some fresh tomatoes? You can pick up a plant for yourself at the horticulture unit on campus and make sure you never run out of the fruit. The potted plants are 6 1/2 inches and are sold for $7 each. If you buy five or more, the plants are only $6 each. Bloom into the new spring quarter by checking out the hearty selection of non-GMO and pesticide-free plants at the Growing Grounds Downtown garden center. All the plants sold are edible and include favorites like tomatoes, basils and strawberries. Free to enter. Plant prices vary. Head over to the Chlorophyll Cave for a night of live indie rock music from bands Mildura, I’m Glad It’s You, Throw Away, and Collie. Go on a 2-hour tour led by walking tour agency Secret SLO to hear tales about ghosts and paranormal happenings in the city. Enjoy the tastes of five different plant-based cheeses and their complementary beer pairings at the 7Sisters Brewery. If you are not a fan of beer drinking, no need to fear — you can swap your bottles for wine, kombucha or cider. If you cannot make it to the Chlorophyll Cave on Saturday, no biggie. Five new punk rock bands including Reclaim, Mulholland, Mvmvr and Crucial Measures will be performing to cap the weekend’s festivities off. Catch some laughs before the weekend ends at SLO Brew Pub, featuring local comedian Aidan Candelario. The event is hosted by Cal Poly Comedy Club president Sean Reilly.